This delighful little aquarium graces any room and is also really easy to maintain with our full range of Xpression 17 aquarium spares from Aqua One. We have carbon cartridges, heaters, thermometers and a full range of decor amongst many other lines. to keep your fish happy and your aquarium looking great. 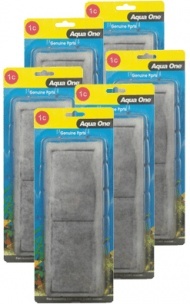 Find a complete range of filtration spares and accessories for you Aqua One Xpression 21 aquarium, right here at Aquarium Parts. Choose essential filter media, heaters, replacement LED lighting or aquarium decor, along with a full range of test kits and additives to keep your tank in tip top condition. A fantastic aquarium by any standards, which deserves the very best in aquarium maintenance. Simply change your carbon and wool cartridge every 4 to 6 weeks, the ceramic cartridge at similar intervals and the foam sponge as necessary. A little maintenance for a lot of pleasure! The 35 litre Xpression 32 is the largest in the range, but still really easy to maintain in great condition, thanks to Aqua One's unique filtration products. You'll find them all listed here, in stock and ready to dispatch. Carbon and Wool cartridges, ceramic filter cartridges, sponge foams and a whole range of aquatic products. 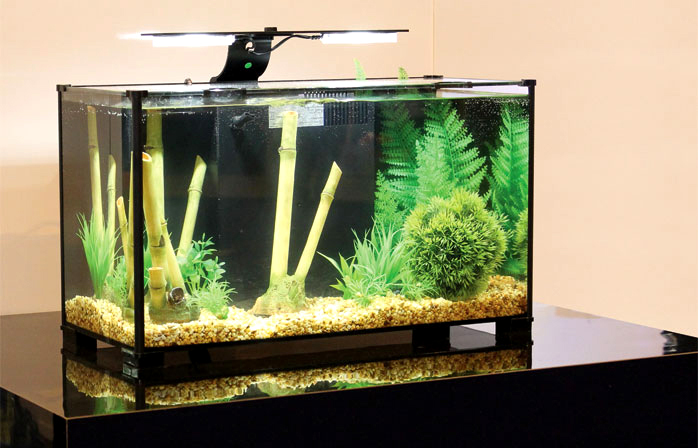 Fishkeeping has never been easier with Aquarium Parts and Aqua One. Whether you're looking for heating, lighting or aquarium filtration products for your new Aqua One Xpression Aquarium, we've got the lot. We are the only dedicated Aqua One retailer in the UK and carry every single spare part and accessory for all Aqua One aquariums including Xpression Series. If you need a part that you can't see listed, please contact us, we should be able to help! Featuring AquaOne's superb trickle filtration system, Xpression aquariums are really easy to maintain. Simply replace the 1C Carbon and Wool Cartridge every 4 to 6 weeks, the Ceramic Cartridge can should be replaced every 20 weeks, whilst the black sponge can be rinsed in a little aquarium water and reused, replacing every 12 months or so when the cell structure begins to deteriorate. Genuine and Original Aqua One Carbon and Wool Cartridge BULK BUY MULTIPACK for use with AquaNano 25, 30, 40, 60, 130, AquaStyle (AR) 126, 380, AquaMode 600, AquaVis 130, Betta Mono, Betta Duo, Betta Trio, Xpression 17, Xpression 21, Xpression 27 and Xpression 32 aquarium ranges. 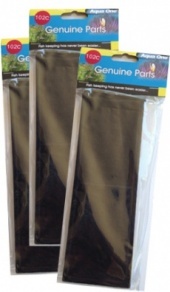 Genuine and Original Aqua One Carbon and Wool Cartridge TRIPLE PACK for use with AquaNano 25, 30, 40, 60, 130, AquaStyle (AR) 126, 380, AquaMode 600, AquaVis 130, Betta Mono, Betta Duo, Betta Trio, Xpression 17, Xpression 21, Xpression 27 and Xpression 32 aquarium ranges. Genuine and Original Aqua One Carbon and Wool Cartridge for use with AquaNano 25, 30, 40, 60, 130, AquaStyle (AR) 126, 380, AquaMode 600, AquaVis 130, Betta Mono, Betta Duo, Betta Trio, Xpression 17, Xpression 21, Xpression 27 and Xpression 32 aquarium ranges.